LOS ANGELES, CA--(Marketwired - July 11, 2016) - Eagle's Flight, an industry leader in the development and delivery of practical training programs for the global business community, today announced it is publishing two guides to help companies that are looking to solidify their team-building efforts. 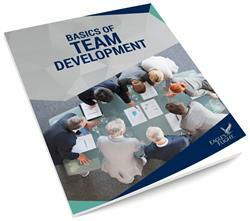 More details about these resources are available at www.eaglesflight.com/basics-of-team-development and www.eaglesflight.com/organizational-blueprint-for-embracing-working-in-teams. The Basics of Team Development: This e-book provides an introduction to the concepts of building teams. Topics explored include what really defines a "team," qualities of a world-class team, and the seven cornerstones of teamwork and how to implement them. Organizational Blueprint for Embracing Working in Teams: This guide offers a plan for developing and improving teams. The blueprint includes core characteristics of a team, three steps for building an effective team, and tips to get employees to buy into the team concept. "Just because an organization has assembled teams does not mean that employees actually work together as effectively as possible on projects and to solve problems," says Michelle Bennett, Marketing Manager for Eagle's Flight. "New research has revealed that how a team works together is more important than who is on that team. The tools provide a clear guidance to companies looking to strengthen their teams and, ultimately, improve results." For more information about these resources or the innovative training programs Eagle's Flight offers, visit the company's website at http://www.eaglesflight.com. Eagle's Flight is an innovative leader in the development and delivery of practical training programs for the global business community. Through the use of experiential learning, we assist organizations of all sizes to gain a competitive edge by significantly strengthening their workforce. Founded in 1988, our offerings include extensive skill-based program development around team performance, conference training events, leadership initiatives, and custom development. Globally, our programs are offered in 25 languages and represented by international licensees in 45 countries. This global structure enables us to work with large multinational companies to provide them with consistent training messages and methods around the world. Learn how to unleash the power of teamwork in this free eBook.